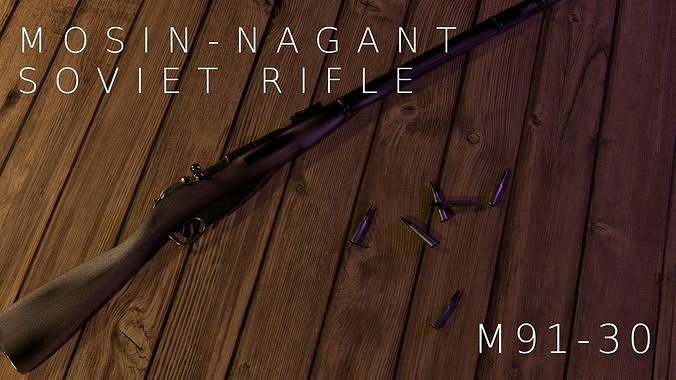 Mosin-Nagant Soviet 91/59 Carbine Rifle model in real world metric scale. Variant with handguard, round receiver, and long rear sight. Ready for games, animations, and VR. Wood and metal texture files are included in .zip folders, each with a color map, gloss map, normal map, and reflect map. Dimensions: X - 123.2 cm // 48.5"